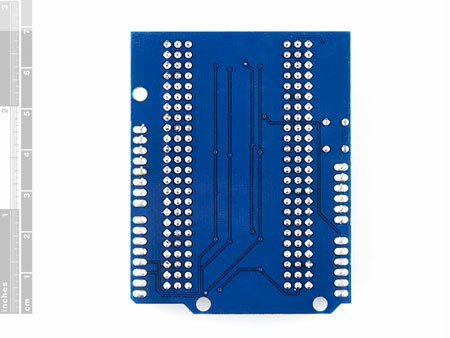 If you need a lot of inputs and/or outputs, this is your solution! 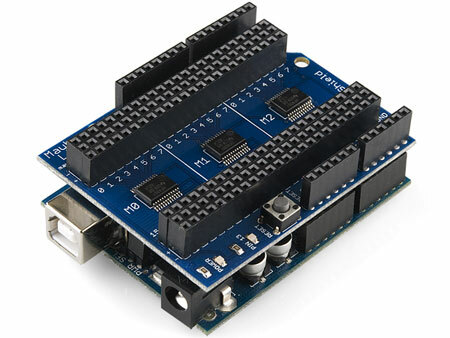 The Mux (Multiplexer) Shield adds the capacity for up to 48 inputs or outputs on the Arduino and Arduino Mega. 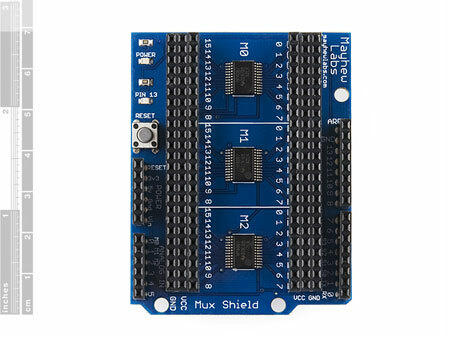 Using three Texas Instruments CD74HC4067 Analog Multiplexers, the Mux Shield makes it possible to have 48 analog/digital inputs or digital outputs in many configurations.The Mux Shield comes with stackable headers installed and ready to plug into your Arduino! 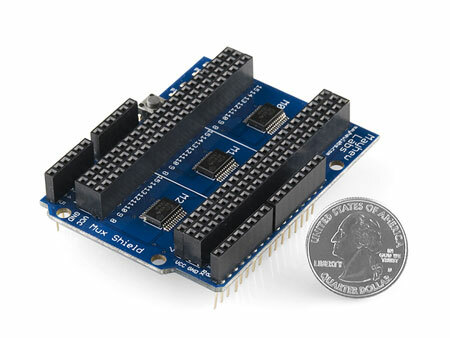 - Requires digital pins 2,3,4,5 and analog pins 0,1,2 – 48 inputs/outputs for the price of 7 pins!